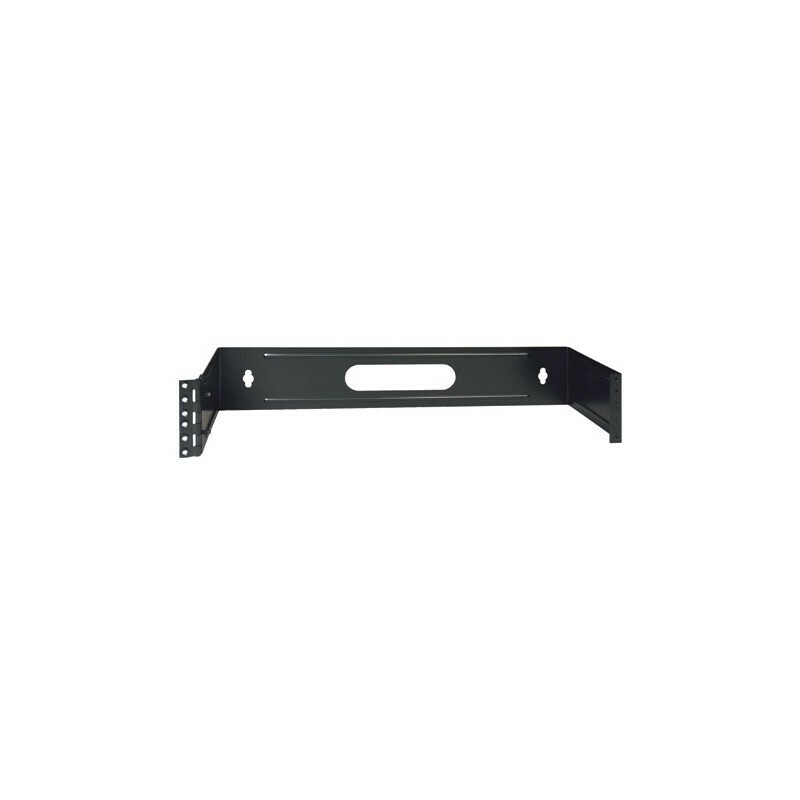 Tripp Lite's heavy duty 14-gauge steel, 2U (3.50") wall mount patch panel bracket, is the ideal alternative to a full size rack. Standard EIA 19-inch width allows installation of any 19inch patch panel. Laser cut metal ( not punched ) keeps all edges smooth, greatly reducing the possibility of injury, and, wear on cable jackets. Universal mounting for right or left hinging. Keyholes are spaced 16inches for mounting on wall studs. Stamped, horizontal reinforcement ribs allow for greater sturdiness and stability, and allow the addition of a rear cutout for feeding cable through a wall opening. Smooth, glossy black finish.